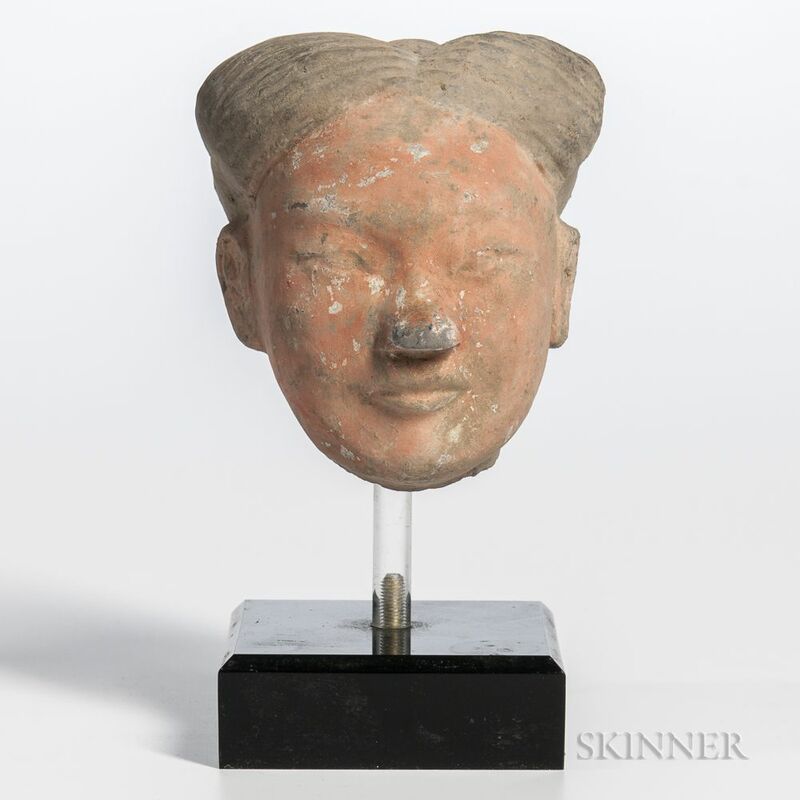 Painted Pottery Head, China, possibly Han dynasty, with a modern stand, ht. 4 1/4 in. Provenance: Lot includes letters to certify that the head was excavated from Henen Province, Xian, issued in 2002 by Po Yuen Tong, Hong Kong.